Home » creative » Facebook » Food n Beverage » hampers » KFC » photo » purchase » slogan » spend » vouchers » Jul5-Aug31: Mi Sedaap Gather2Gether Contest: Win up to RM8,000 worth of prizes! 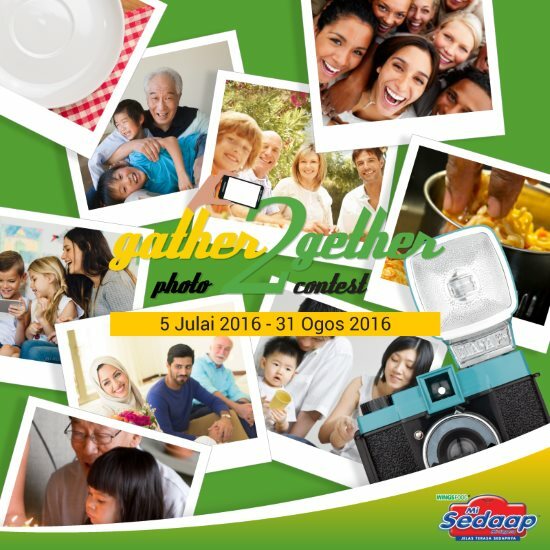 Jul5-Aug31: Mi Sedaap Gather2Gether Contest: Win up to RM8,000 worth of prizes! Log on to Misedaap Malaysia Facebook page and LIKE the facebook page. Fill up your personal detail and attach a photo of receipt for 2 packets of Mi Sedaap Gorent (any variant) as proof of purchase. Visit Mi Sedaap Gather2Gether contest page for more details.